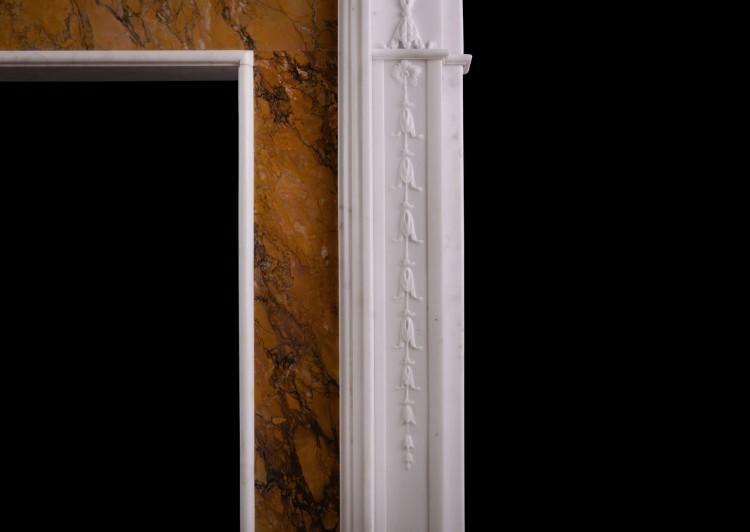 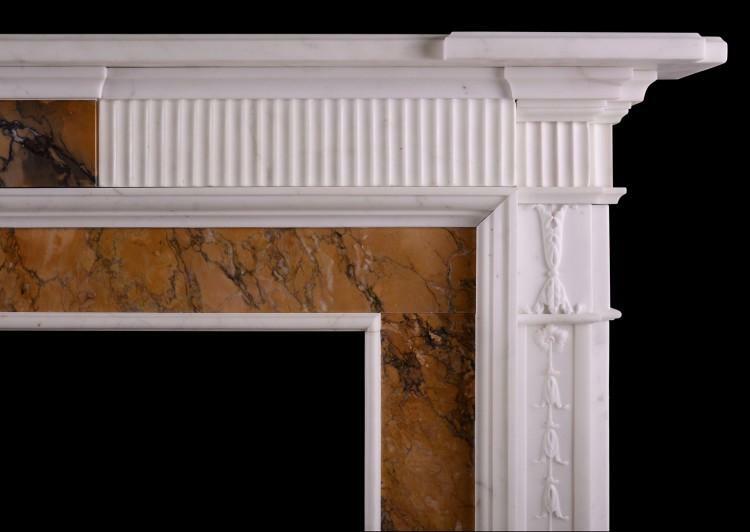 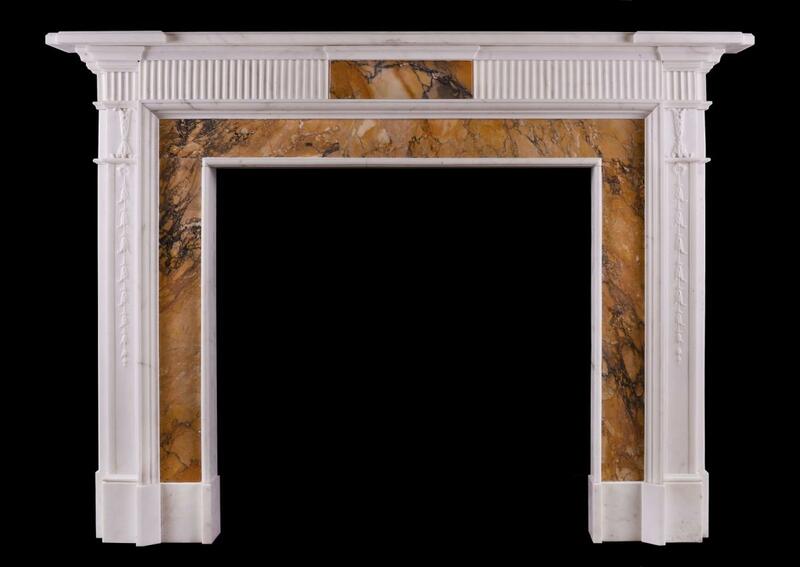 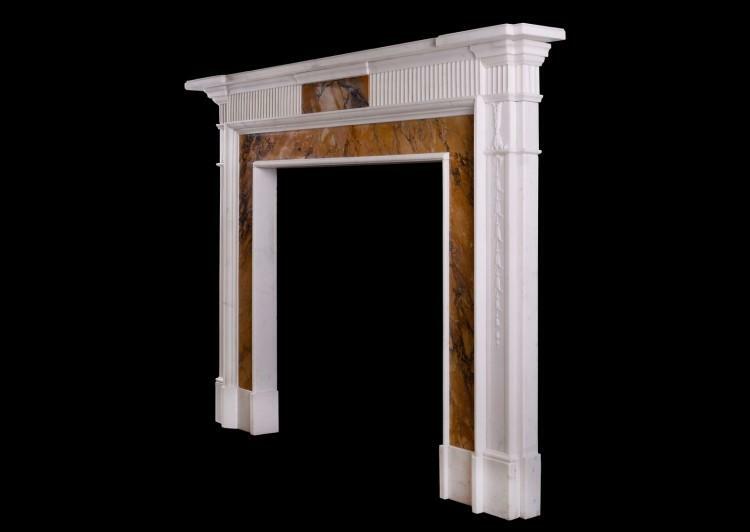 An English Georgian Statuary marble fireplace with Italian Siena inlay. The jambs with carved bell drops and foliage, with Siena inlay to ingrounds. 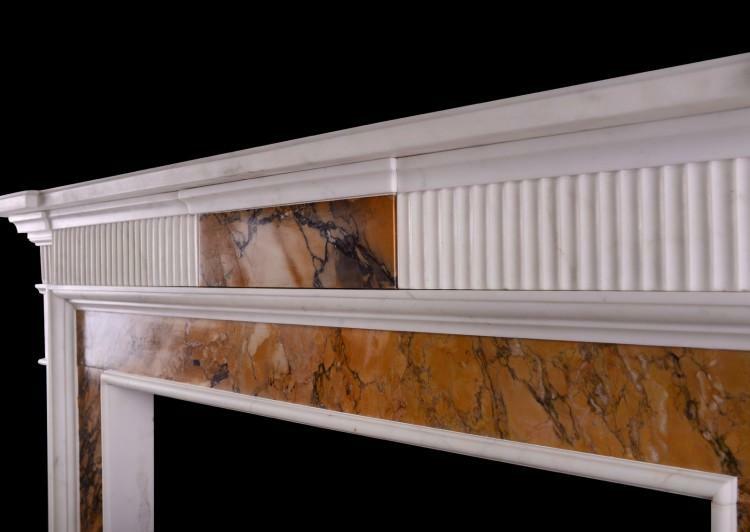 The reeded frieze with Siena centre block, surmounted by moulded shelf. English, late 18th century.